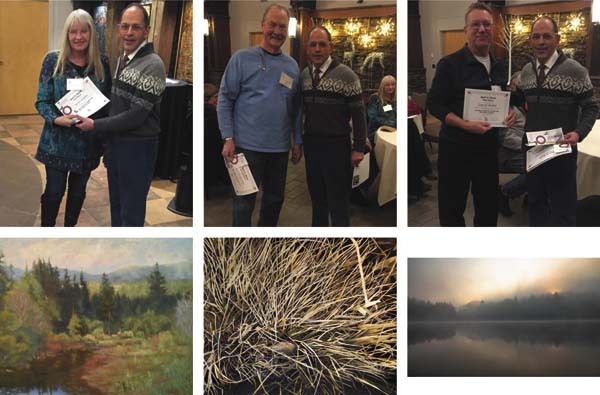 GLOVERSVILLE — The Paul Nigra Center for Creative Arts, 2736 Route 30, has announced the winners of its 2019 Winter Art Show, which features more than 120 works of a variety of media and themes by more than 40 artists from across the state and beyond, including New York City, West Virginia and Rhode Island. The 2019 Winter Art Show will run through March 26. The public is welcome to view the show throughout its run. The regular gallery admission fee is $5. Members of the Nigra Arts Center, children under the age of 18, and participating artists will be admitted for free. For more information about this show or the center call (518) 661-9932 or visit www.pncreativeartscenter.org.